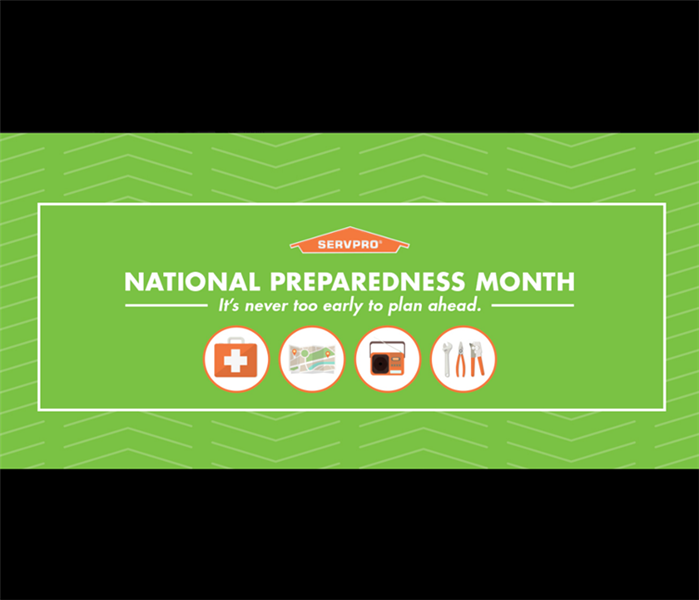 It is finally September and that means it is National Preparedness Month! 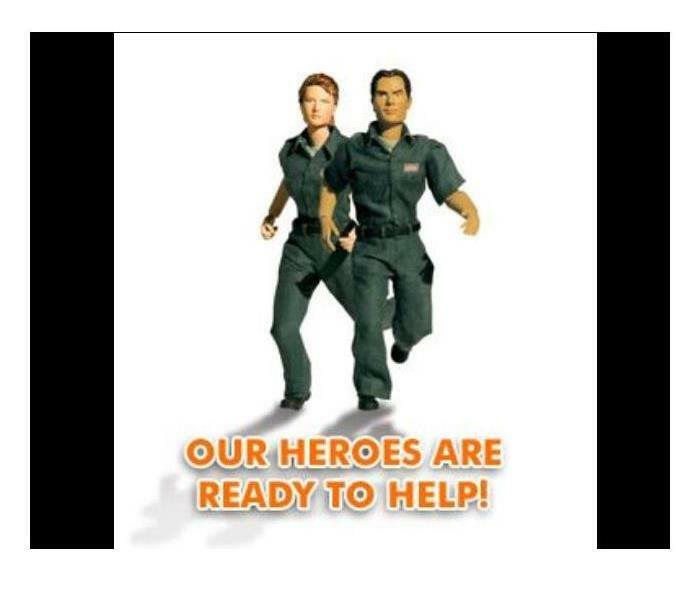 SERVPRO is partnered with the American Red Cross, and together we want to make sure you are prepared for anything! Make sure to check out the Red Cross Web site to see available Emergency Kits. Commercial Fire Damage in Gurneville! Our fire girls are currently going through he contents of a very large commercial fire loss. They must go through each item and write up all items that are fire damaged and non-salvageable. 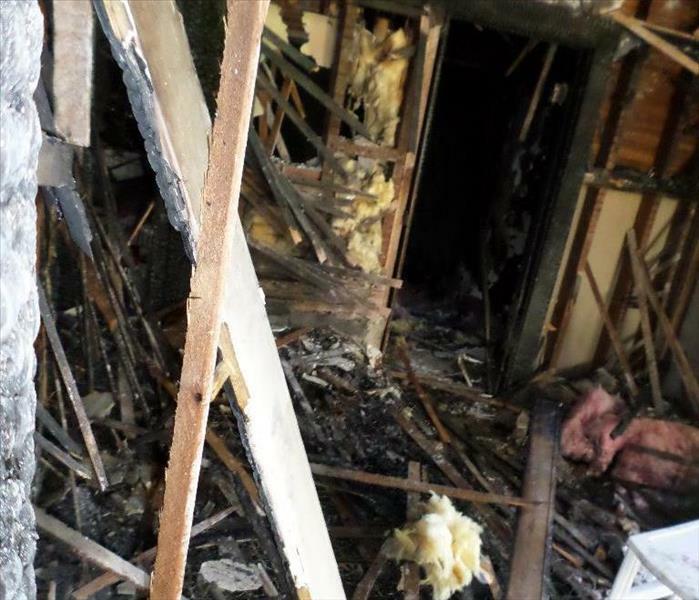 In this photo, you can see some fire damaged contents we will be writing up shortly. 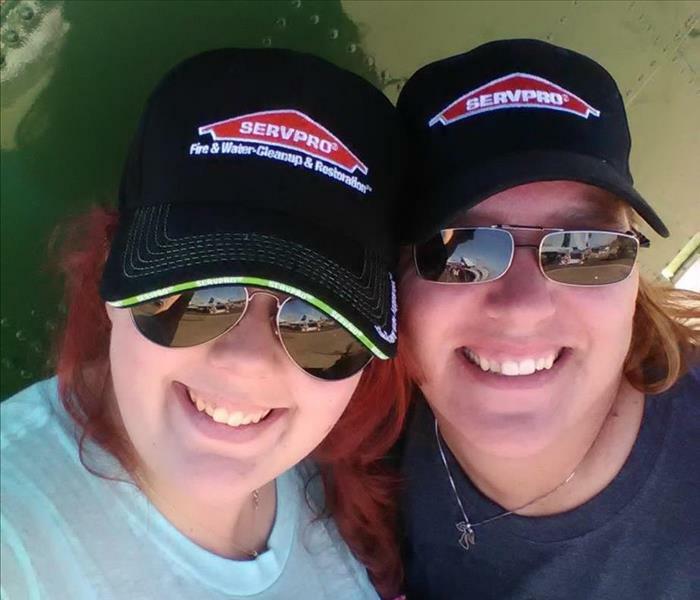 It was a fun day at SERVPRO of Santa Rosa S.E./Sonoma on July 28th. 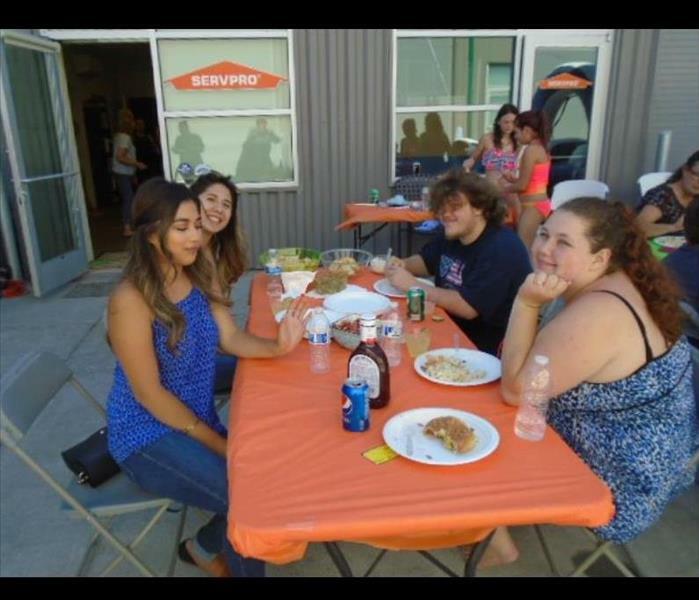 We decided that was the perfect day for an Employee Appreciation BBQ! Our marketing team out did themselves for that day. Leona, Raechel and Stevie did the planning, Leona and Raechel went shopping, while all three girls made different sides for the BBQ and Michael barbequed the burgers and hotdogs. We all enjoyed each other’s company and sent time with our families. We will most definitely be doing this again! Fireplace or Heater or Both? 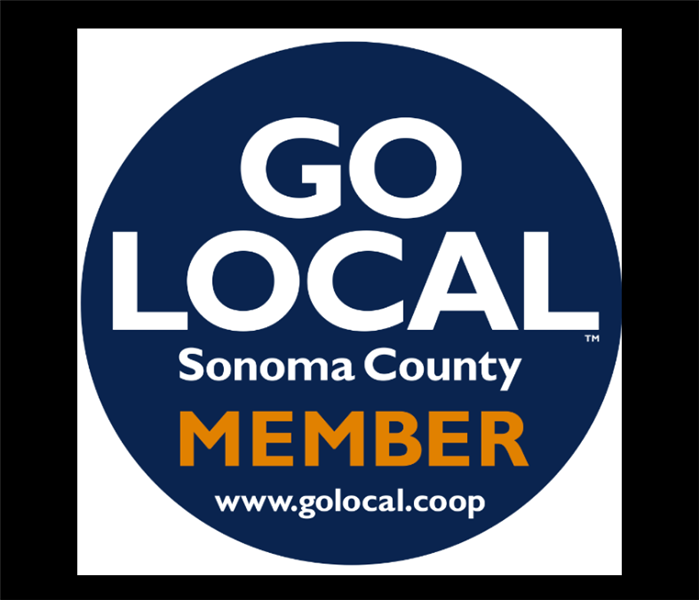 Though we are in the middle of a heat wave, we are no strangers to the cold here in Sonoma County. 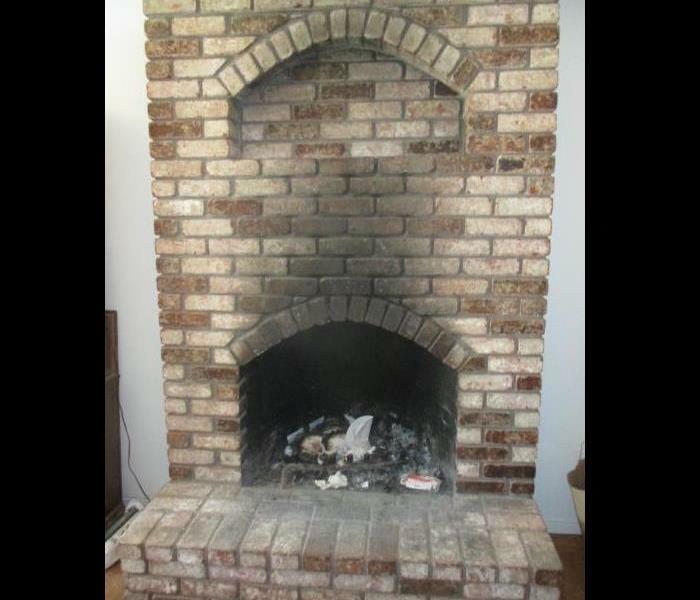 In the winters, remember if you want a fire in your fire place and your heater on, start your fire first. Once lit, let it burn a little while then turn on your heater. If you do it the other way around, the heater will pull the smoke from the fire into your home, and no one wants that! Just a friendly tip from your local SERVPRO! When you have a business and you experience something horrific, like a water or fire damage, we know all you see is dollar signs flying out the window. 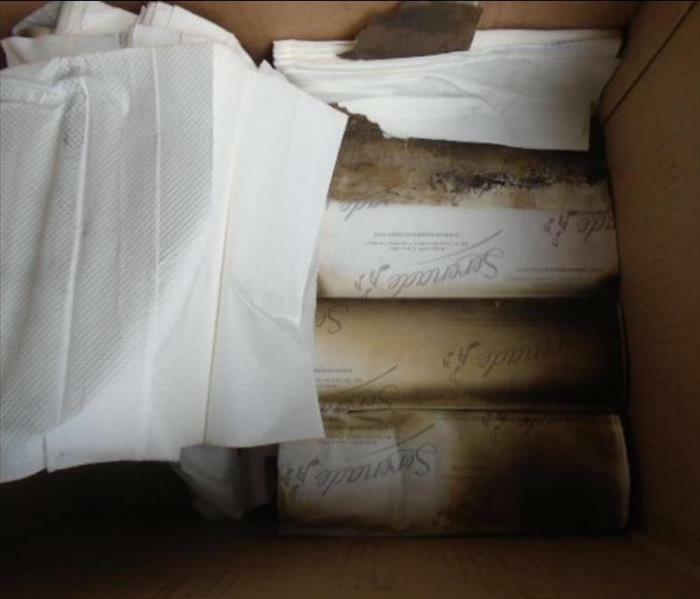 That is why our fire team who cleans everything knows that the things that cannot be saved, like these napkins, should be written up and have pictures taken so that you can be reimbursed by your insurance and get your business back up and running. 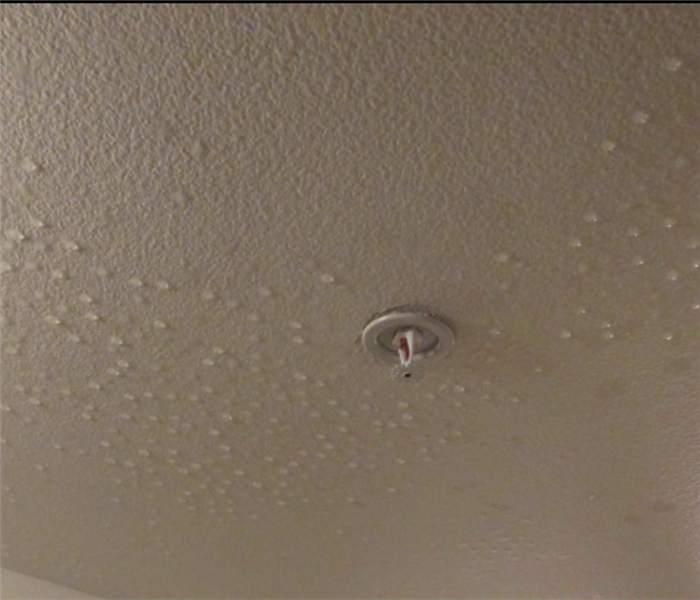 Even hotels can experience water damage. When it comes to a large company that cannot shut down operations, we know how to be discreet and professional while we get the job done. It is bad enough when you have a fire in your home but most people can drive away from the damage for some R&R. 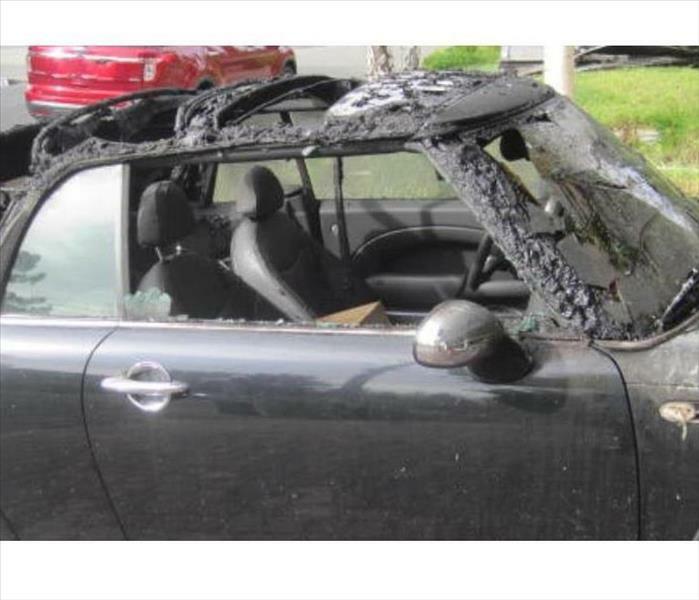 People vigilant in your fire safety to ensure your family, home and vehicle are safe. The girls in our marketing team, Raechel and Stevie had so much fun at the Summer Kick off Expo in May. They enjoyed watching people have loads of fun spinning their prize wheel. Nothing better than a day out of the office, spent with our community! 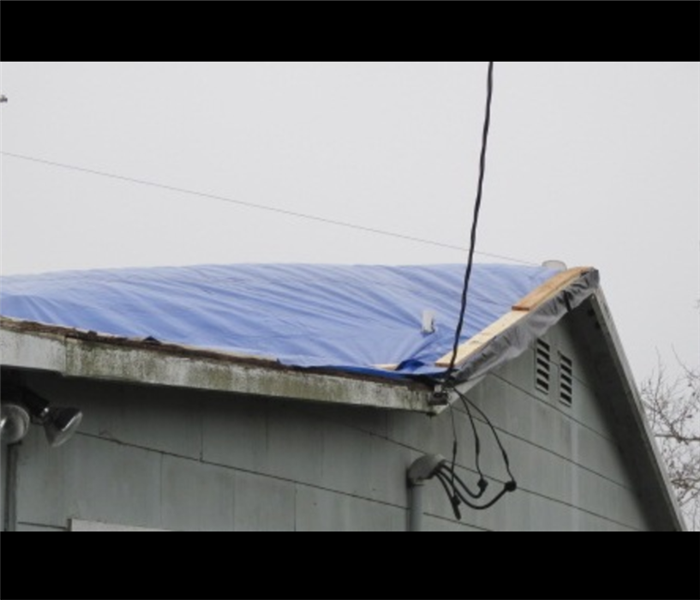 When rain storms busted through the roof of this music lessons building, we here at SERVPRO of Santa Rosa S.E./Sonoma were there in a flash to make it "Like it never even happened." Our cleaning technicians don't just do a dusting of your items. 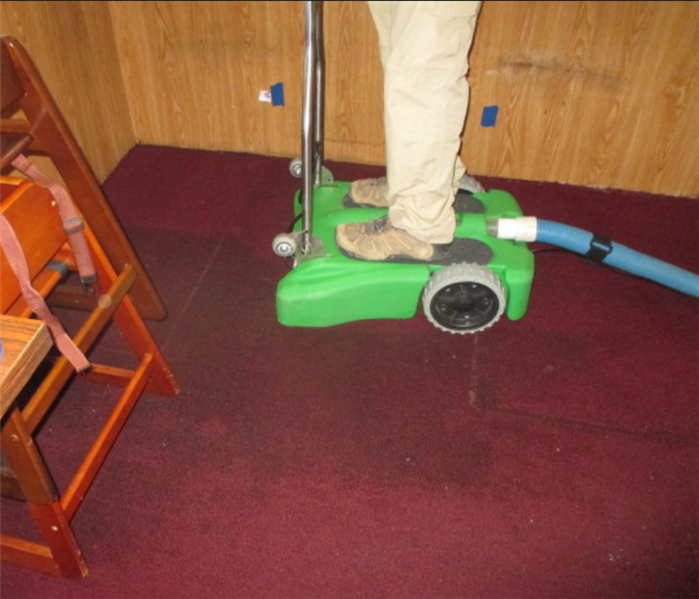 They are specially trained with IICRC tools and SERVPRO solutions to make sure we remove every spec of soot. We strive to make sure after everything is done "Like it never even happened." Small, old homes have such a warm feeling but unfortunately, they can have old plumbing. 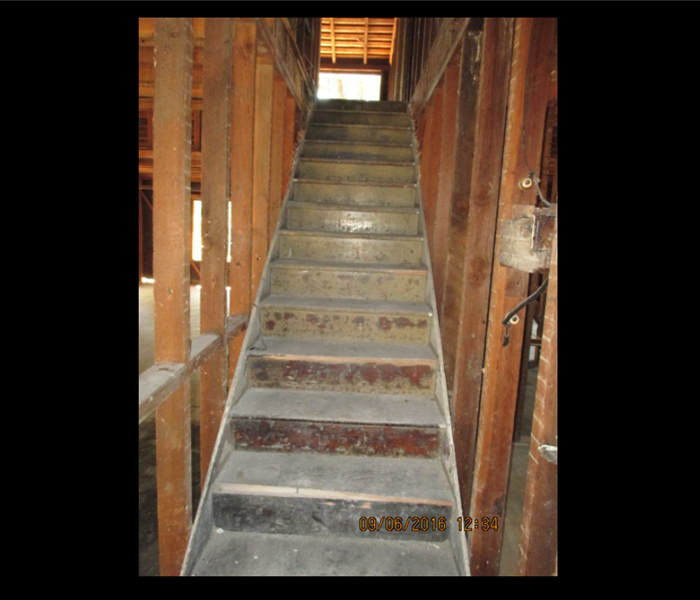 This picture shows the water damage that soaked down into the crawl space at a home in Cotati. We understand the importance of getting your businesses back up and running as quickly as possible. 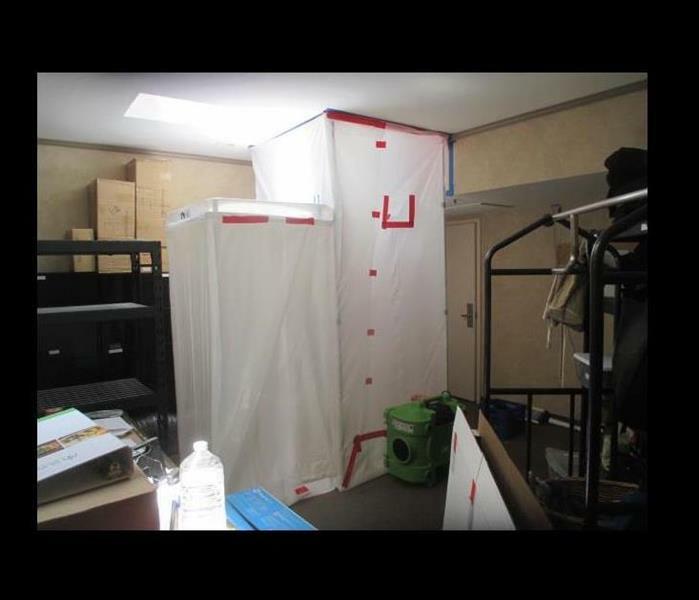 We took extreme care to get this restaurant back up and running after they discovered they had a mold issue from a past water damage they thought was taken care of. We are "Here to help" to make it "Like it never even happened." We must deal with many different situations and we must always be ready for anything. 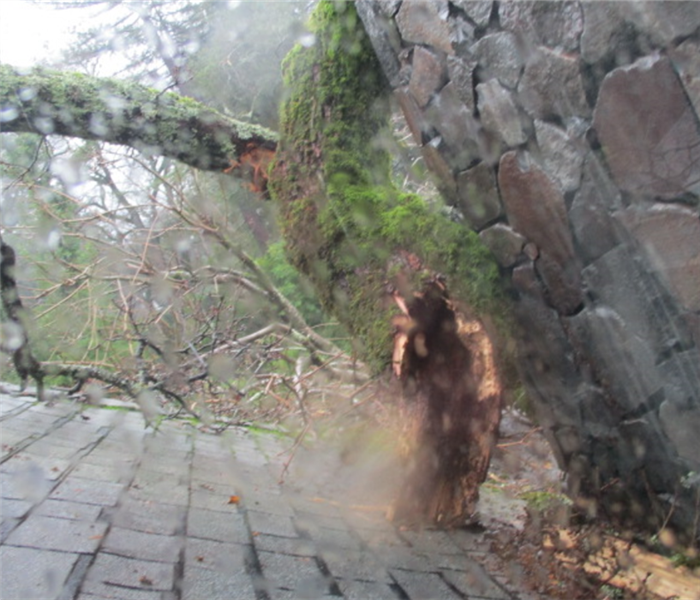 This home in Sonoma was mostly effected in the master bedroom. We made sure to dispose of the debris and make the area safe for a quick pack out. 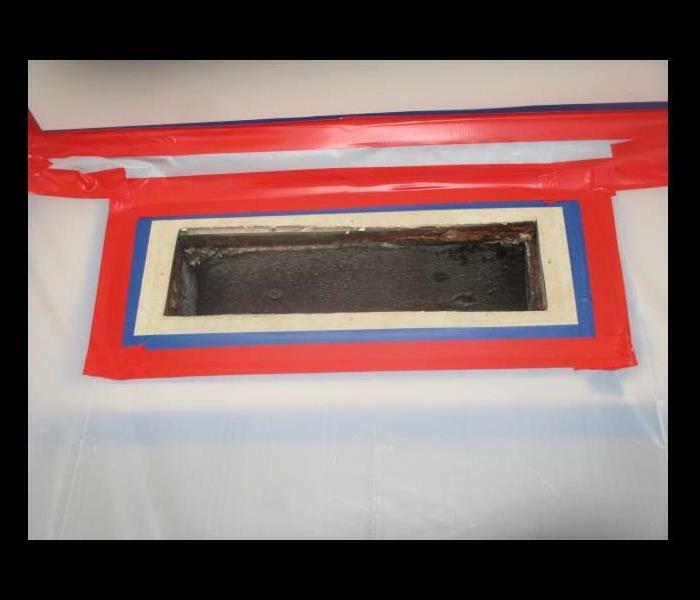 During rainy season watch your exterior vent. With heavy rains comes some flooding. Though the flooding may not been to extensive on the outside, if it gets inside, it is not a good thing. SO watch those exterior vents and if you do have water damage from your vents, give us a call at (707)517-8333! Being in the industry that we are in we deal with a lot of Insurance agencies. For those of you looking to go the local rout, check out Barber Insurance Agency Inc. They are a local family ran insurance company that knows their stuff. Here is a little bit about Barber Ins. 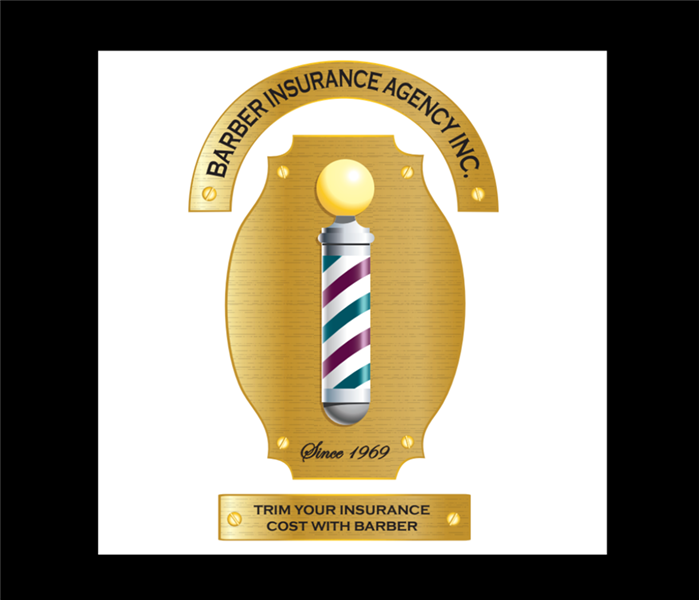 As one of the area’s most trusted “family-run” agencies, Barber Insurance Agency is committed to serving all of the diverse insurance needs of California individuals, families and businesses. From low cost auto insurance, mobile home and homeowners insurance to commercial and event insurance, we strive to provide our customers with the highest quality coverage and protection they need and deserve. If you choose to work with Barber Insurance Agency Inc., tell them SERVPRO of Santa Rosa S.E./Sonoma set you! Big or Small, We've Seen It All! 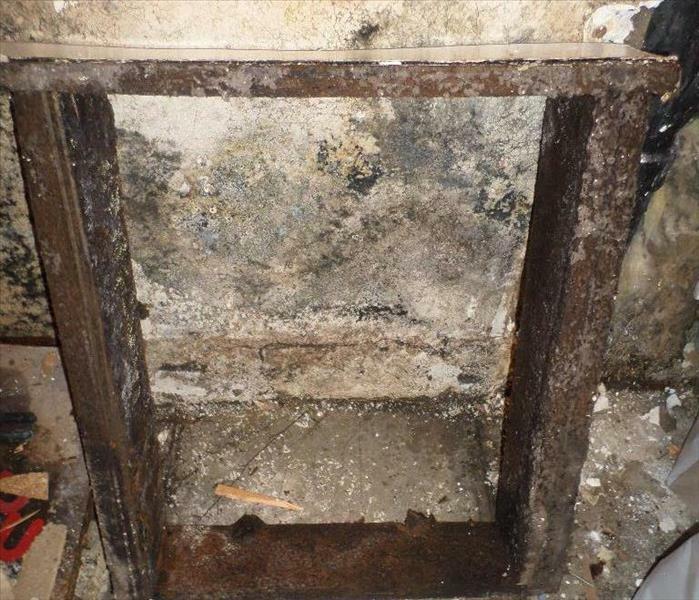 If you have a small amount of mold, or a great amount, give us a call! We will be more than willing to come out and make it "Like it never even happened!" We understand how important your possessions are to you. 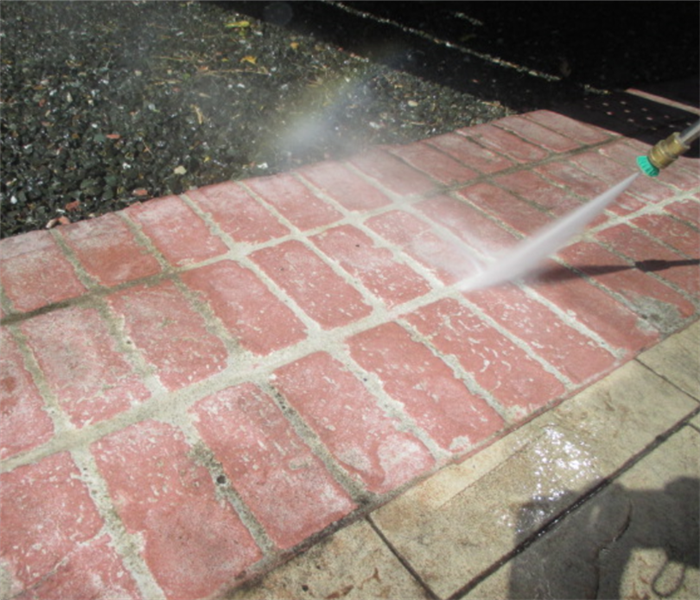 This is why our cleaning techs are so key to our operation! We take time to specially train technicians to clean fire damaged items, so when you get them back, it is "Like it never even happened." Inventorying Everything for your Business! Whether it is your home or business we inventory everything! In this case, this client had a fire in their shop. 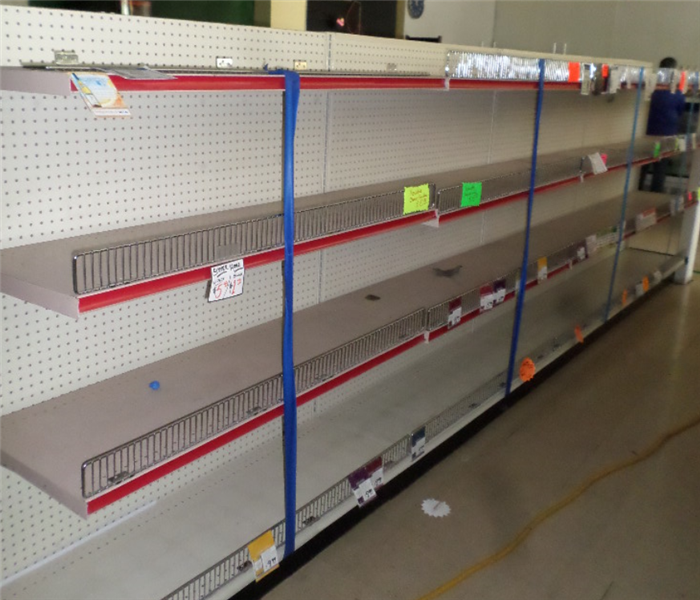 We inventoried all items in the store and all structures. 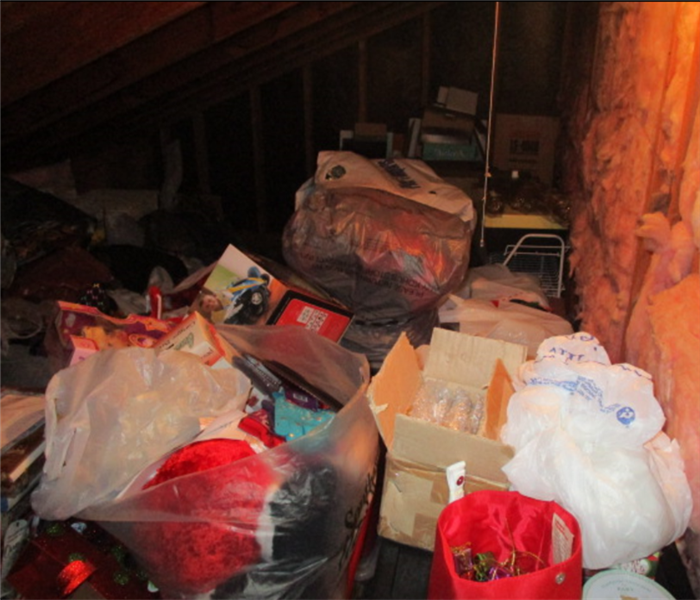 We do this at every job not just to aid us, but to ensure all your belongings are accounted for. 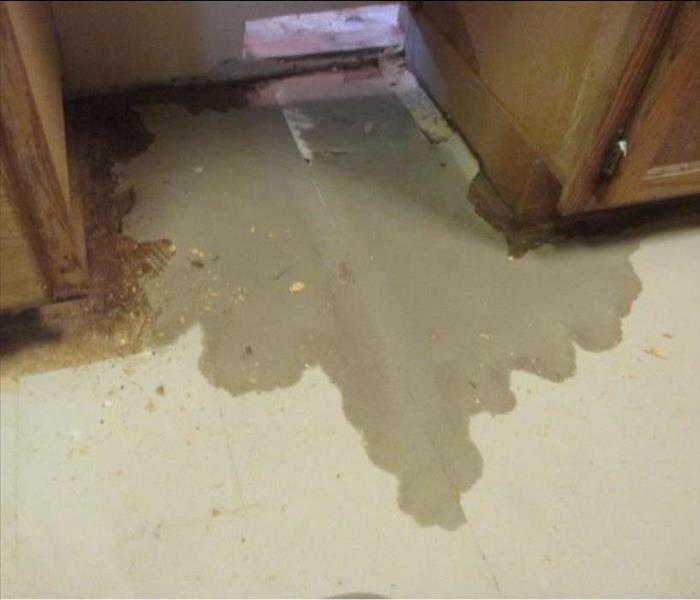 Water damage can come from any where. Busted pipe, overflowed tub, or roof damage. 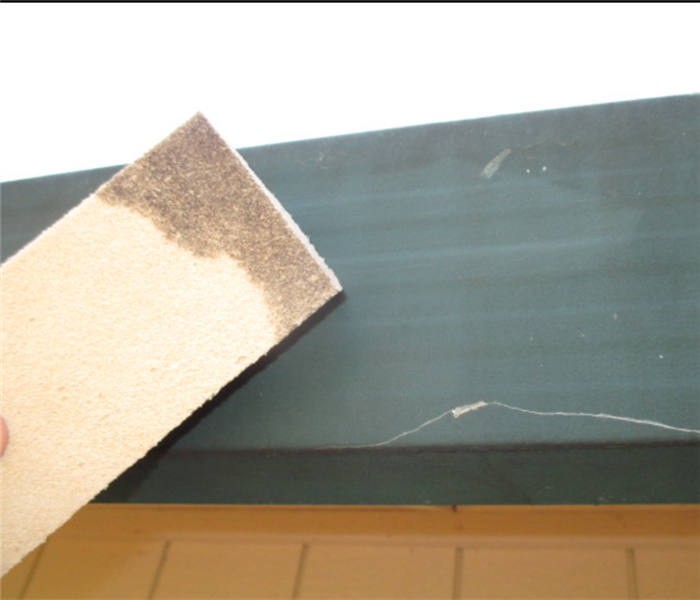 This client was unaware of their roof issues till it rained and then it began raining in their home. 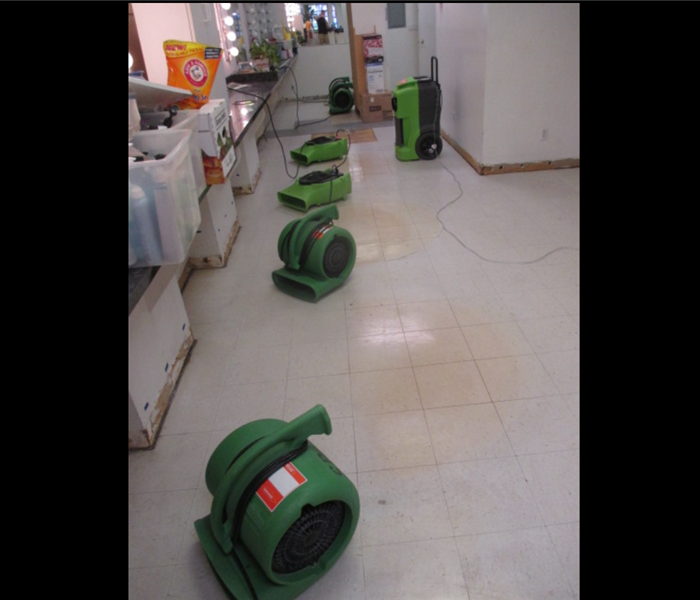 SERVPRO of Santa Rosa S.E./Sonoma was their in a flash to start tackling the water ASAP! Nobody likes mold, and nobody wants mold, but a lot of people get mold. 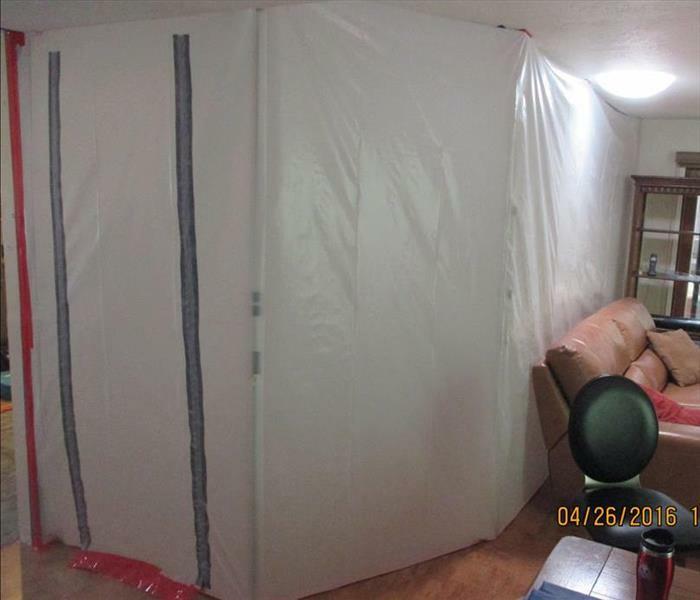 If you find mold in your home, please do not stress. Just call SERVPRO, and we'll take care of it, "Like it never even happened!" We here at SERVPRO want you to truly feel "Like it never even happened" and this is why our cleaning technicians are so important! 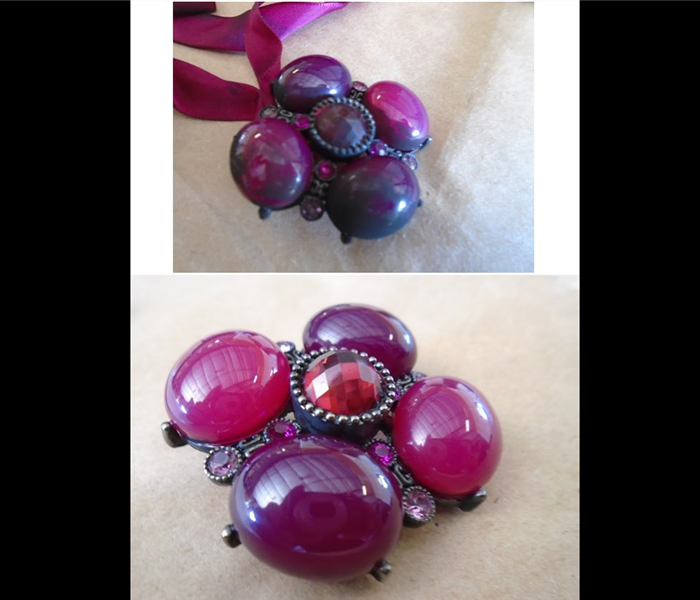 One of our techs took the soot covered rhinestone necklace and got all the nooks and crannies, keeping our "Like it never even happened" promise. 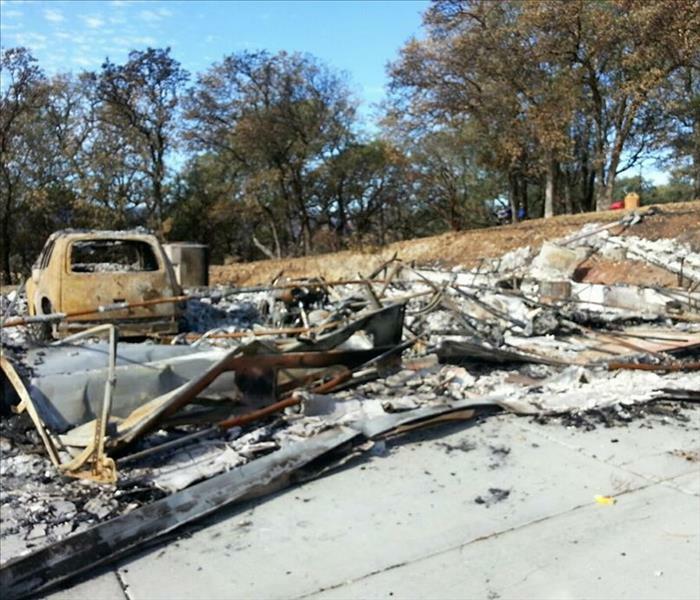 When a fire hits your property, it is devastating. There is a lot of negativity that goes along with a fire, but some choose to make the best of the situation. In extreme cases where almost the entire interior of a structure is burnt to a crisps such it was here, they decided it will renew their property and they are choosing look on the bright side. 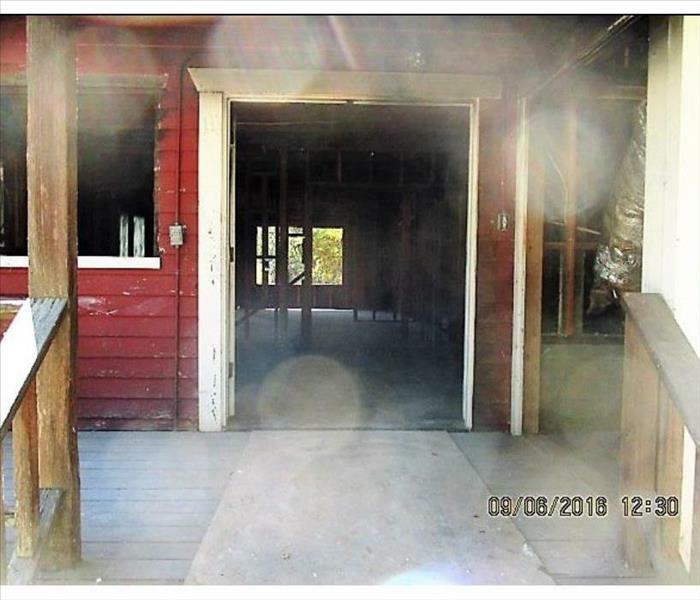 This property was very old and had asbestos and now that it has all been removed, they can have a fresh, asbestos free building. Fire is a scary thing. House fires are horrible and can take your home just like that. Wild fires are even worse. 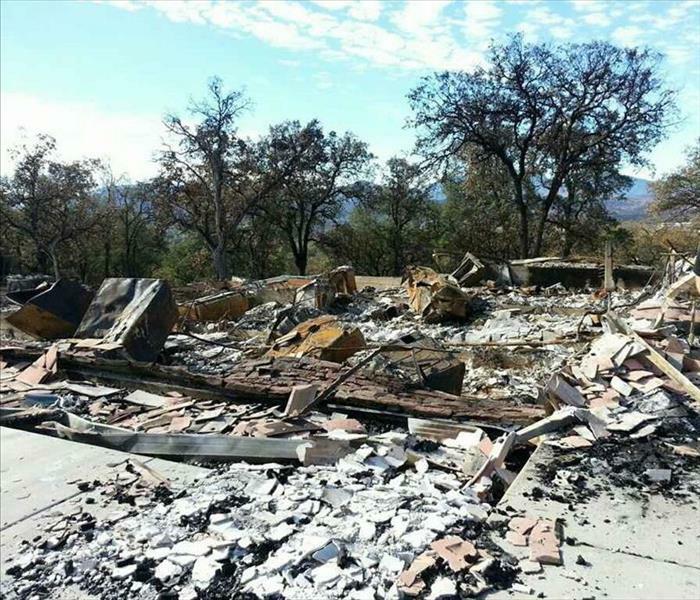 In 2015, California was rocked with the Valley fire. It destroyed 1,322 homes, 27 apartment buildings and 73 businesses. There was also an additional 93 buildings damaged. This is a storm event, a fire storm, and this photo captures just some of the horrible damage caused by it's path. 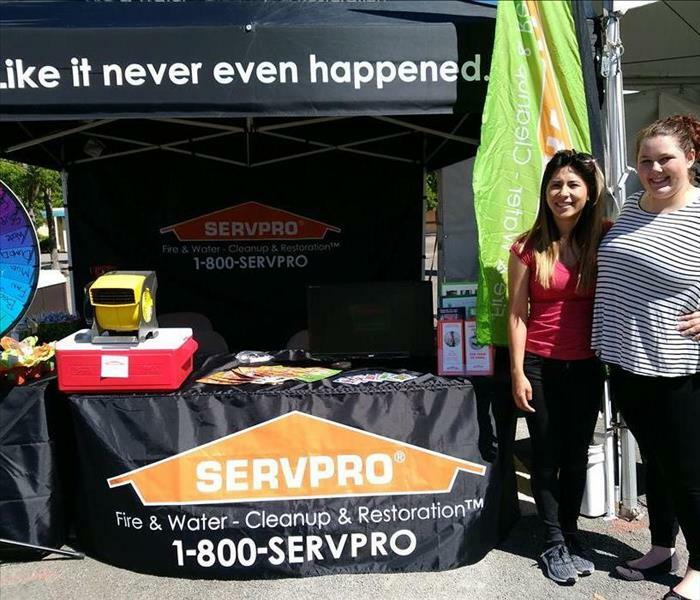 Here you see one of our crew chiefs, Donna, at the Sonoma County Fair spending time in the community telling folks about our good SERVPRO name and making relationships we hope can lead to business relationships sometime in the future. Donna had so much fun mingling with people; she said "It was a great day at 'the office.'" Fire is very scary and can effect your life in so many ways. For this clients there was a huge impact. Not only did they have a fire but the water from the sprinklers caused water damage to the two connecting businesses. 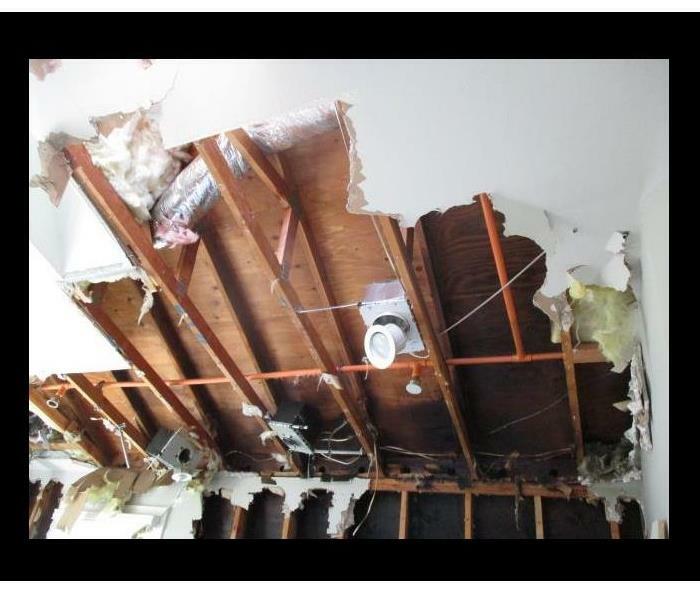 This client owned all three businesses and with everything in their lives going crazy with this fire slash water damage they knew to call SERVPRO to come and handle everything and save the day. Today is November 11, 2016 and we want to take this time to honor our veterans and say Happy Veterans Day to all those who have served for our country, and thank you from all of us here at SERVPRO of Santa Rosa S.E./Sonoma! In 2015 California had it's third worst fire ever. This not only left homes destroyed but with the homes that survived, they were all covered in a mixture of ash and soot. During this storm event we cleaned many homes that were covered with this mixture from the fire. During these hard times you go through, know you can call us to make it "Like it never even happened." Fire takes it's tole on our homes, minds and belongings. We here at SERVPRO do our best to help ease the tole taken upon your home and belongings, which we hope will have a chain reaction of easing your mind. 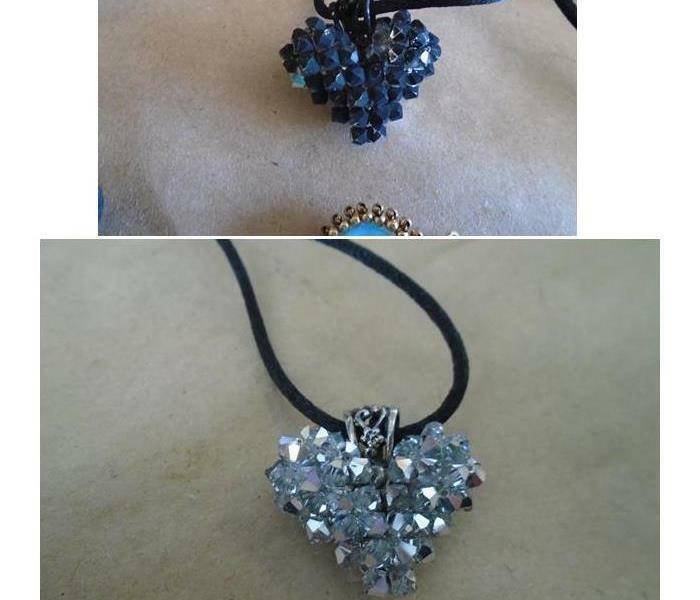 One of our cleaning techs completely restored this necklace using our tools and her specialized training. We know there will be some things lost to the fire, but if we can save anything, we do. Everything looks better with a fresh coat of paint. 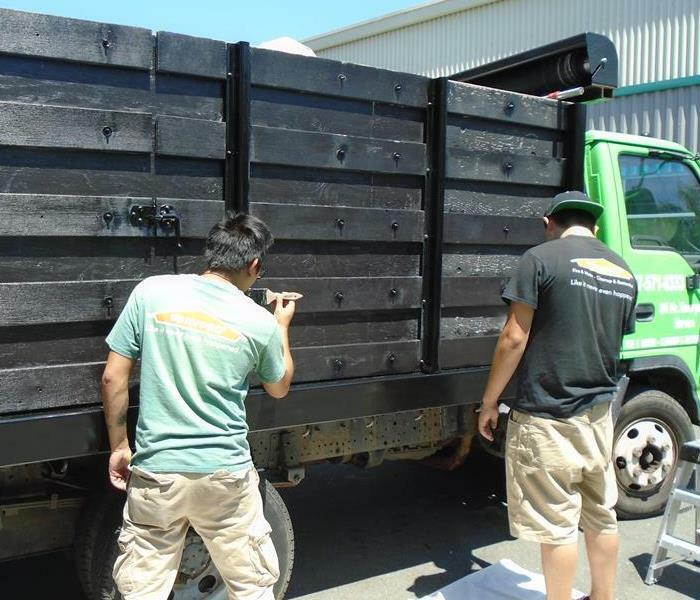 Our guys Jack and Juan are giving our dump truck a brand new look that way SERVPRO of Santa Rosa S.E./Sonoma can always look our best, and now even our dump truck will look great next time you see us. Here you see one of our clients grandsons overjoyed at his new SERVPRO poster. It was scary when his grandma's kitchen caught fire and everything in the house was moved out, including all of his toys and belongings. But he was so happy when SERVPRO came in to save the day and make it like it never even happened. After the job was done he proudly hung up his new poster, happy to be back at home. Here is a shot of mold in an attic. 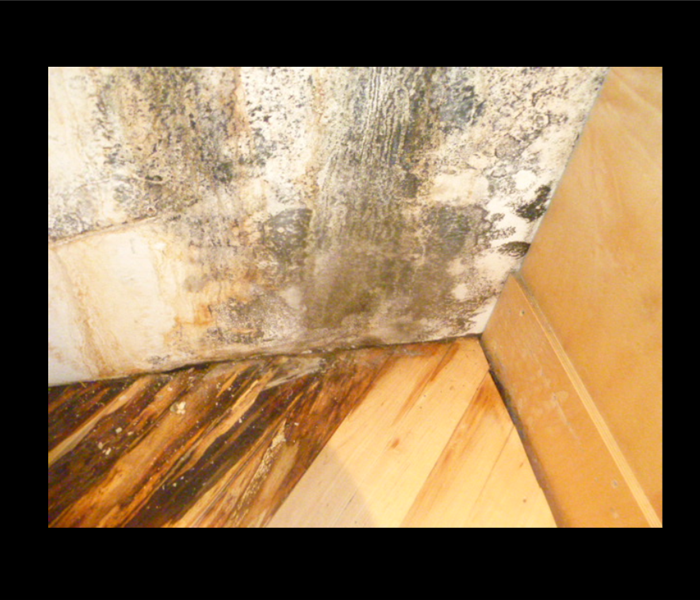 Most people do not know much about mold, except that it can be toxic. Here are some facts about mold. - It can be anywhere (Not just bathroom and kitchen. - Once it's visible, it's like the tip of the ice burg, what you see is only the top of the problem and there is probably more underneath. - Don't try and wash it with bleach. Though tempting, it won't get rid of the mold, just hide it for a short time, while it gets worse. 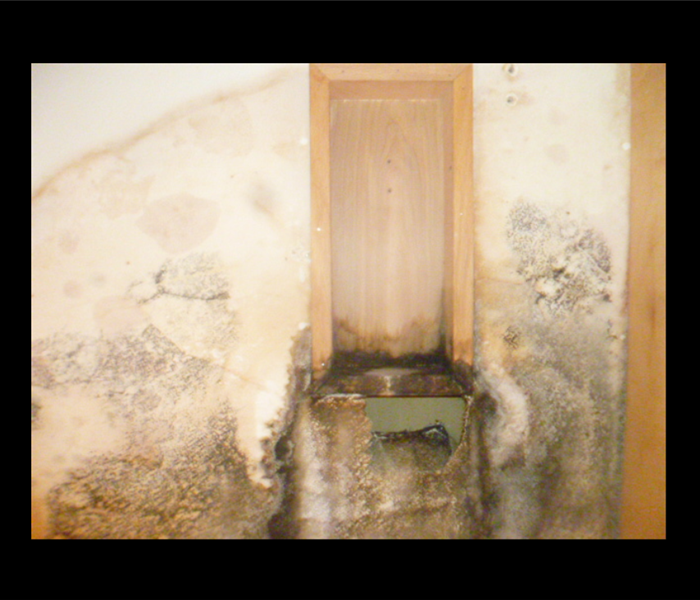 - Mold can cause asthma to be worse, eye problem, ie pink eye, sties etc..., and in extreme cases, brain damage. Smoke and Soot Gets Everywhere! In this photo you see a door hanging jewelry holder. This was once white. The dis colorization comes from the smoke and soot in the air during the fire. 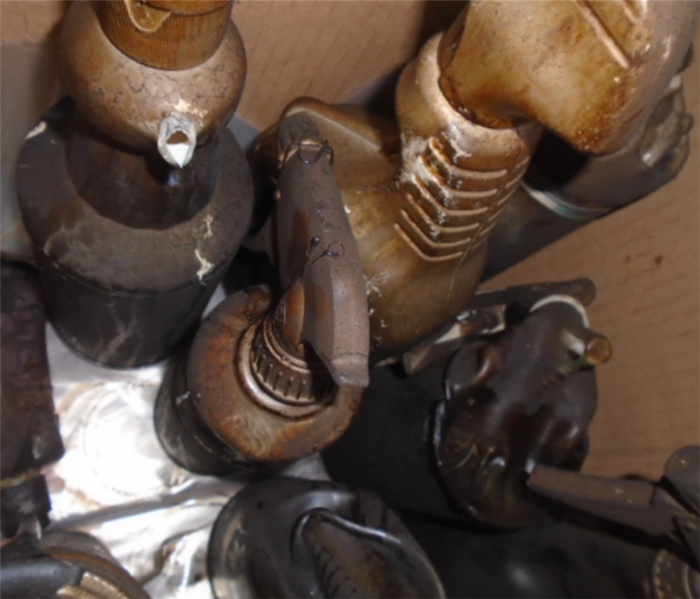 It is items like these that could cause the fire smell to linger. This is why we clean every item of contents and even ozone some items. We want no smell to linger because we want it "Like it never even happened." Looking So Fresh and So Clean This 2016! 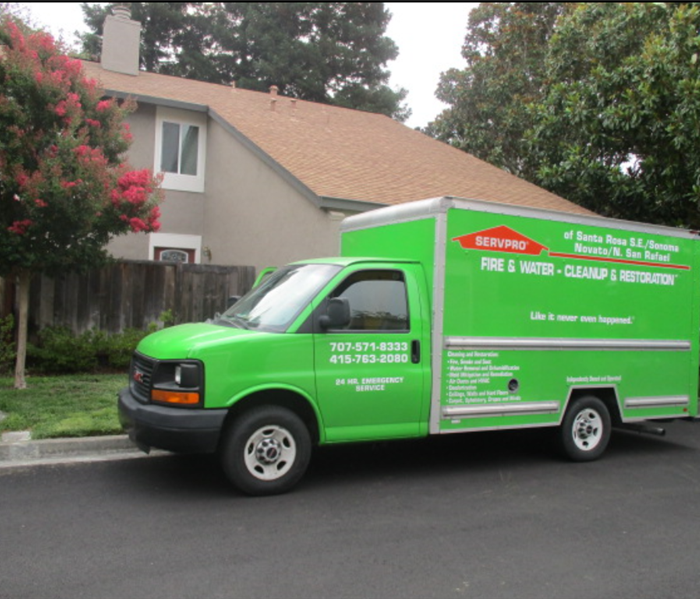 Here at SERVPRO of Santa Rosa S.E./Sonoma we know what a first impression can mean, that is why we keep all our vehicles fresh and clean as to best represent our SERVPRO name. Here's a picture of one of our trucks just after getting to a job. This truck is great for bring our equipment to client's homes for demo, or dry out, or it works great for taking out all the boxes and furniture back to our shop for cleaning. This attic had water damage from a broken pipe in the upstairs bathroom. This job was very extensive especially in this room. Though this was a big job our cleaning crew came in and packed everything into boxes in order for the production team to get in and dry the room. This job was big but we still finished it quickly in order to make our clients life easy and smooth in this not so smooth time. Why Call SERVPRO For My Mold Problem? 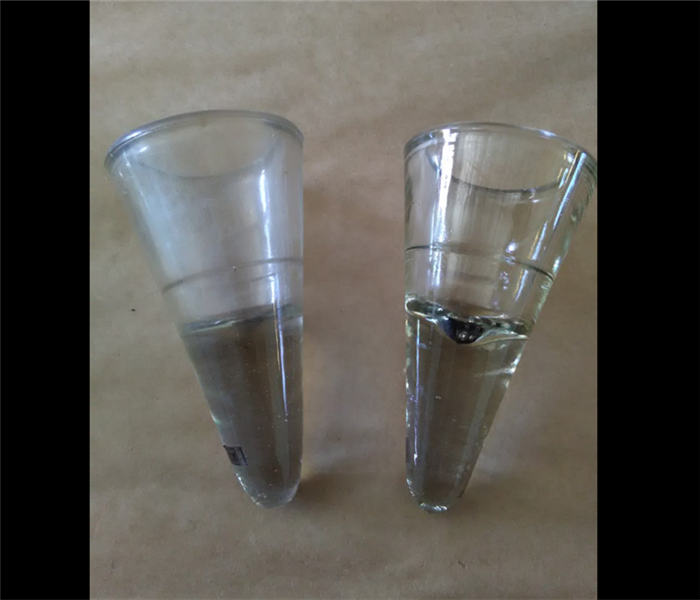 Here you see the effects of water damage in a small business in Sonoma California. The had a leak in the attic that made its way down to the main floor. This caused the warping you see in this photo. Luckily this store owner was only away for the weekend and caught this before mold could grow and fester. Air Show Fun in September! Here's two of our girls having fun out at the Wings Over Wine Country Air Show at the Santa Rose Air Museum located at the Santa Rosa Airport. The girls got to hang out with some members of our community, hand out SERVPRO goodie bags, and watch jumpers, planes and jets oh my! They cannot wait till next year! Thank you to all our brave men and women who fly our planes and jets in the U.S.A. service and took the time to come to the air show. Also thank you to the brave jumpers from our military who also took the time to be at the air show. 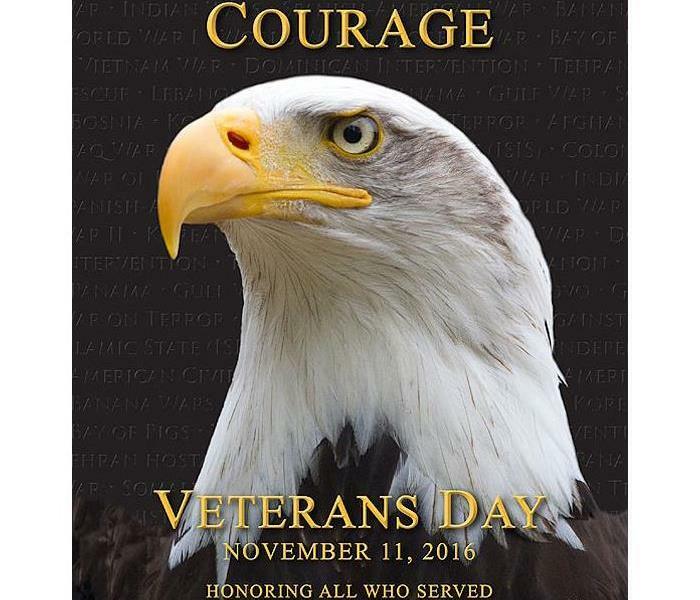 We here at SERVPRO of Santa Rosa S.E./Sonoma thank you for your service to our country. Water damage can be very dangerous. This salon, had suffered water damage do to a fire next door. 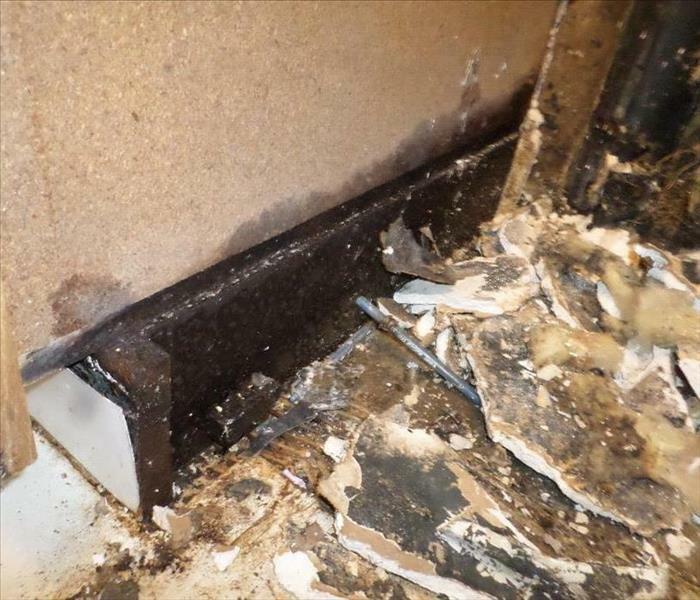 Water damage opens a bad door called mold. Mold is very unhealthy to be breathing in. Luckily we got in and did the job quickly and efficiently. When you do a water job right, your prevent and mold problem later. The Valley Fire that happened back in September of 2015. Within the first five and a half hours it had burned 10,000 acres. That night there was mandatory evacuation for the towns of, Cobb, Middle Town, Loch Lomond, Harbin Hot Springs, Hidden Valley Lake, Clear Lake Riviera, Riviera West and parts of Kelseyville, Pope Valley and Angwin. This photo shows structures burnt down in Middle Town. The fire only lasted about a week but the damage was outstanding. Here we pride ourselves with making it "Like it never even happened" but sometimes that is not what the customer wants. 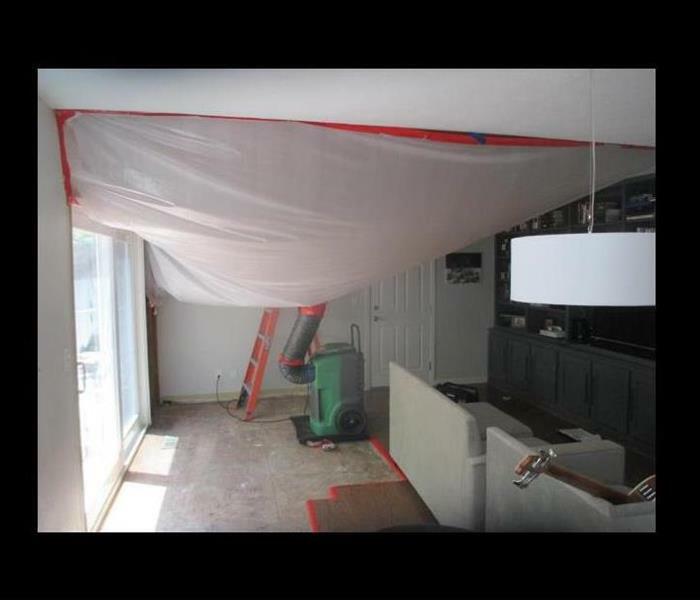 In some situations, our clients will take a fire damage or a water damage and turn it into a remodel. In this home there was a massive fire damage. The owners decided to completely gut the house and turn it into a brand new home. Though we could had made it like nothing ever happened we decided to just help them out and make it like the fire never even happened. It is always nice when a family can take a negative and turn it into a positive. 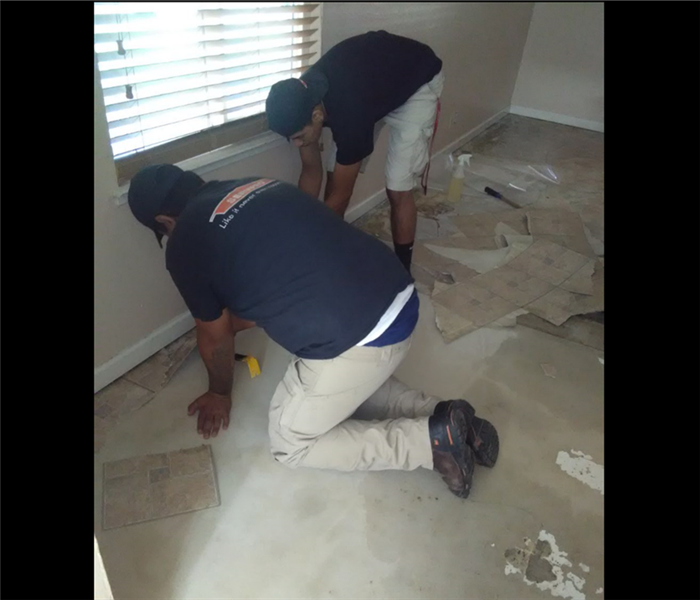 Here in this picture you see our crew chief Gustavo and production technician Omar doing demolition in a water damaged condo. 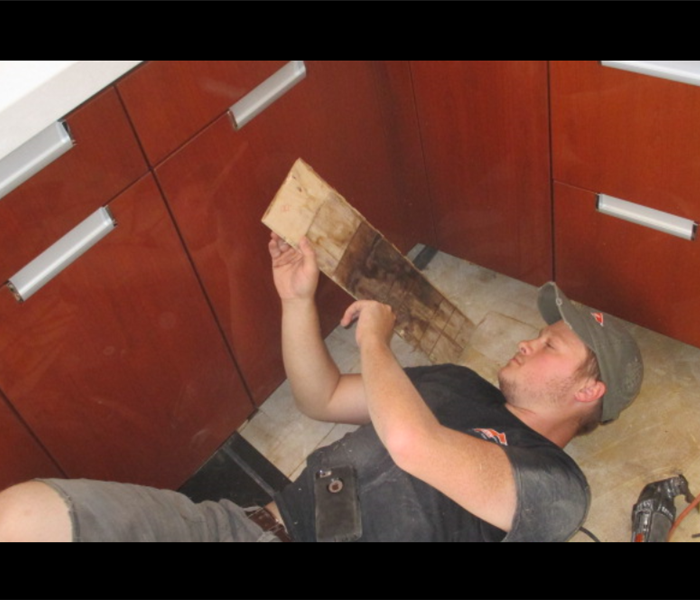 Our guys work very hard and quickly to get water damaged jobs demoed quickly in order to prevent mold. They are specially trained to demo buildings and we couldn't do what we do, with out them. Thanks guys! This is the aftermath of a devastating fire that ran rapid in this structure. We had to demolish all walls, ceilings, floors, leaving only structure left. Fire can be very destructive by itself, but add the smoke and soot smell on everything, there was no other choice for this job then to demo everything. Our cleaning crew had to clean and ozone most contents from this job in order to ensure no smell lingered. 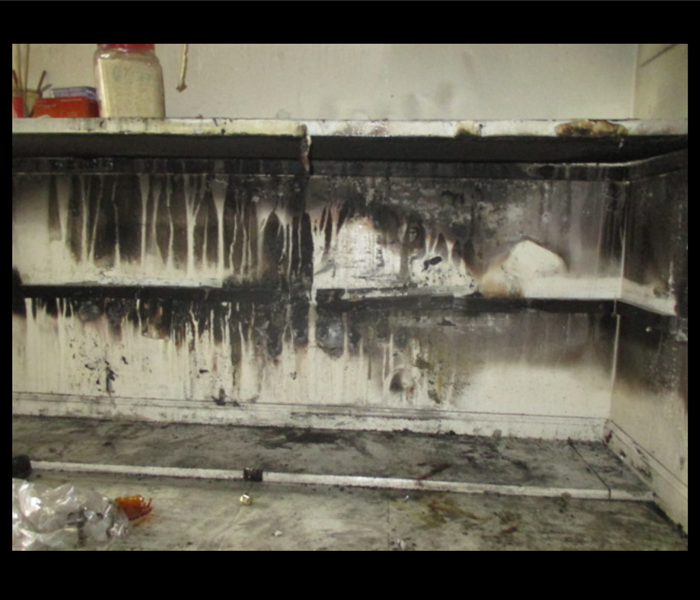 SERVPRO has special tools to achieve the best results possible for fire damaged items. Take a look at our fire page to get more information. When you find mold, STOP! Do not touch it! 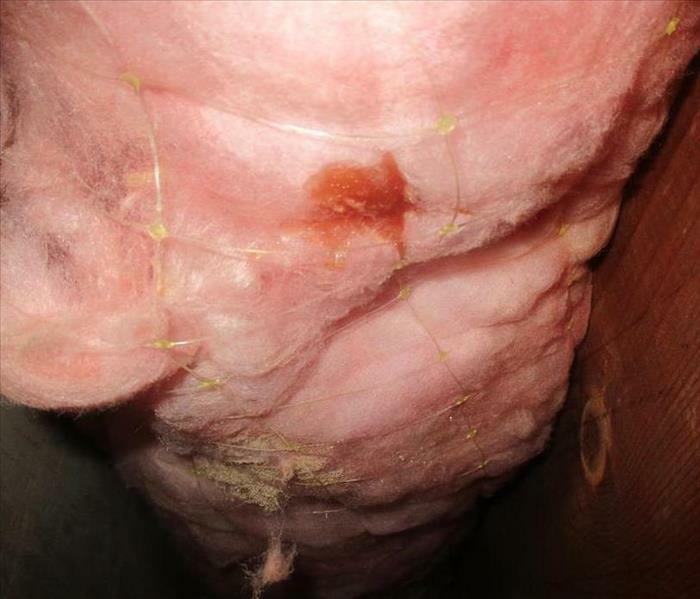 You do not want the mold to become aerosolized, because then you risk breathing it in and that can be very hazardous to your health. 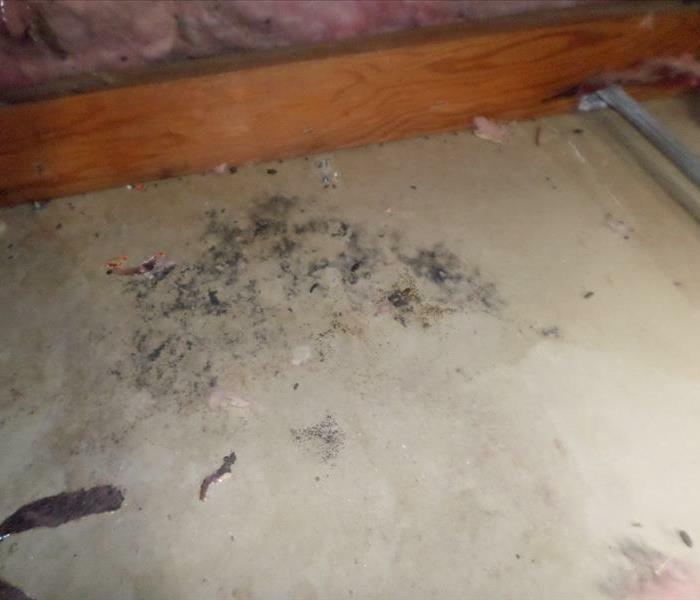 When you find mold, especially in these large amounts, you better call SERVPRO! We will be out there in no time to remove the mold and eliminate possibilities for regrowth, making it "Like it never even happened." Hero of the Month of October - Donna! 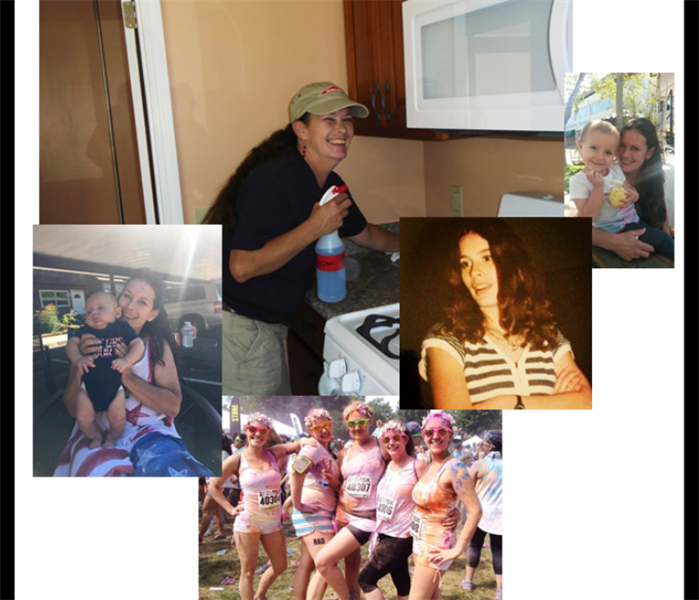 Here is our first hero of the month, Donna Curtin! Donna is the Crew Chief of our cleaning technicians. She recently did an outstanding job at a fire loss in Santa Rosa. She went above and beyond to make sure no matter what was thrown her way; she made our client, our client’s grandson, and the rest of their family feel comforted and at ease in such a devastating time. Donna is always kind and hardworking, making our clients know without a doubt we are there to make “Like it Never Even Happened.” Donna is an amazing part of our team we are lucky to have. Thank you Donna! For some fun facts about Donna check out our Facebook! Getting Down and Dirty at a Water Job! Here you see Cameron West inspecting a water damage job in Sonoma California. This job was caused by a water softener in the attic. 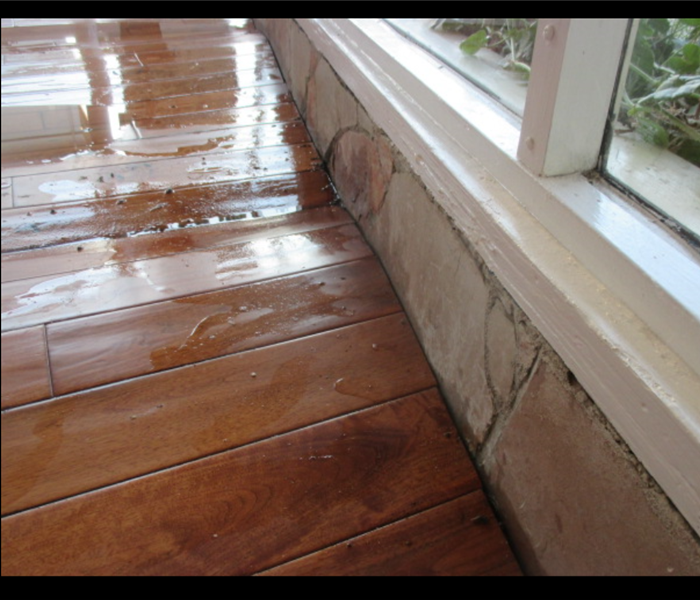 Before we do any job, we thoroughly inspect every detail to know we restore every inch of damaged structure.